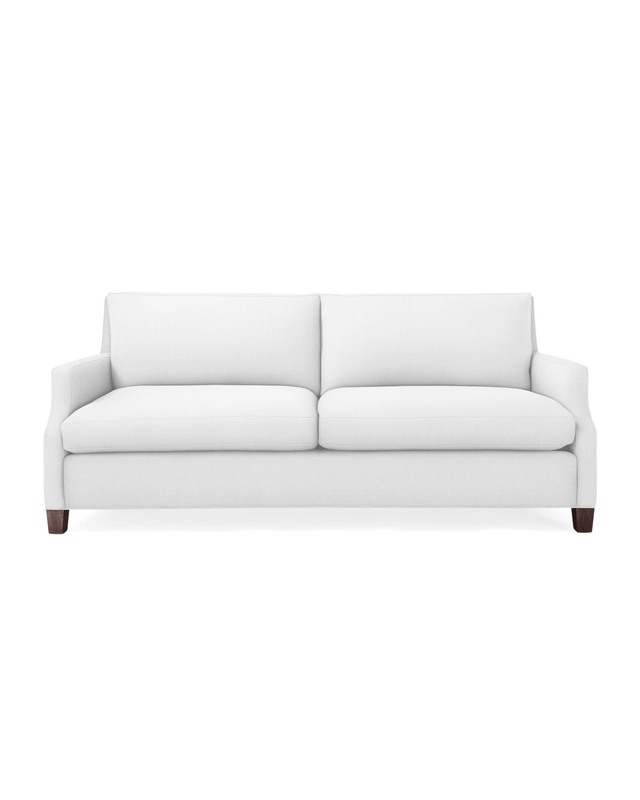 Grady SofaGrady Sofa, alt="Grady Sofa, "
Print A tailored back and squared off pillows give this a spare look, but the coziness and lovely proportions won’t disappoint. Neither will the timeless aesthetic that offers plenty of flexibility. Curved arms lend a certain grace, giving the silhouette just enough detail to make us take note. 84”W x 37”D x 35”H overall. Inside Seat: 76"W x 21"D x 18"H.